Whether it comes down to simple storage needs or displaying treasured collections, cabinetry enhances the function and value of your home and office. Click Here to Visit Our Schrock Cabinet Webiste! At Tops, our high-quality, sustainable cabinetry features include all-wood, full overlay door, plywood construction, heavy duty undermount soft-close drawer glides, full extension drawers, dovetail drawer boxes, hidden hinges, conversion varnish for durability, and much more. Ask our cabinet experts about specialty products such cabinet lighting, floating shelves, power pods, compact cabinet drawer outlets, a toekick vacuum cabinet, and wainscot panels...just to name a few! As your local Dealer, Tops will measure the space, assist with design, order the products and arrange for installation. View our cabinet suppliers online to select from the many options we can offer! Talk to our Design Center staff about another featured line of fully-assembled cabinets with quick turnaround, delivery and lead times! 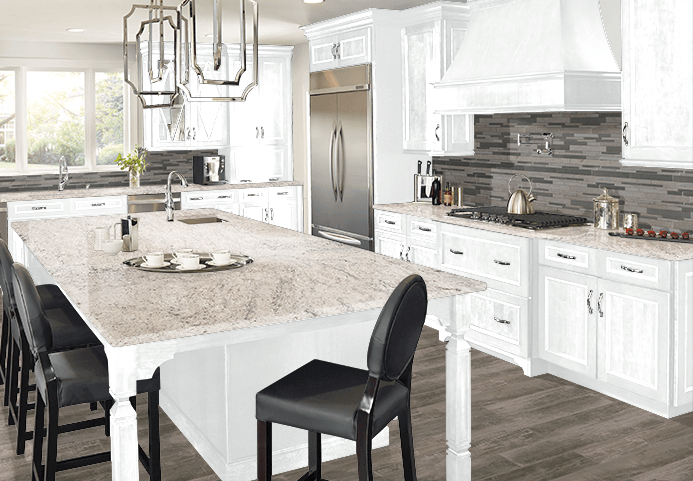 Call Tops today for your free cabinet design appointment at 360 459-3000, or stop in during our Design Center hours.